WP17 series torches are one of the most popular air cooled TIG models. 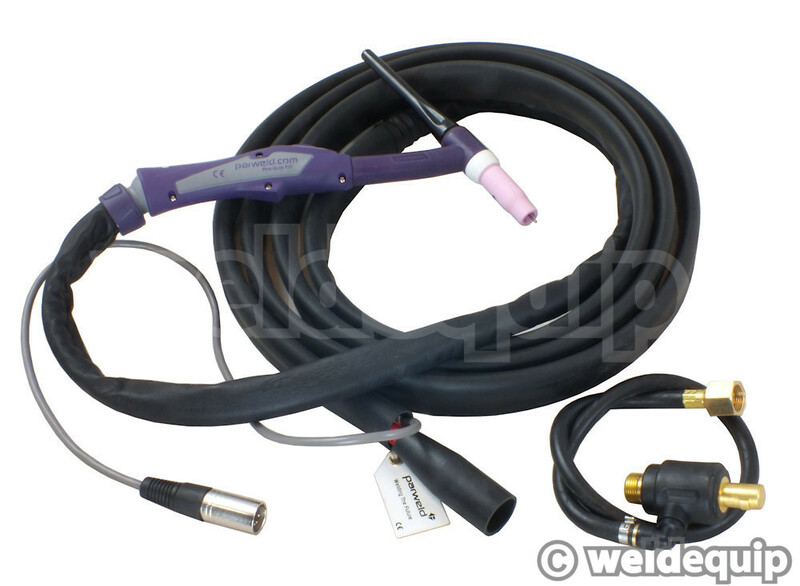 The head assembly is significantly smaller than the WP26 version, commonly fitted to popular TIG machines, so you will find them much easier to use so long as you stick within the amperage rating – 150 Amps DC, 115 Amps AC. Technically & ergonomically superior TIG torches, you will find these lovely to use and vastly superior quality to all the economy torches on the market. Overbraided rubber power cables give maximum flexibility and are protected by a tough rubber/leather sheath for longevity. The ergonomic handle provides optimum torch handling in all positions and trigger switches can be added, removed or replaced in seconds. Plug and Play™ - Un-Plug and Play! 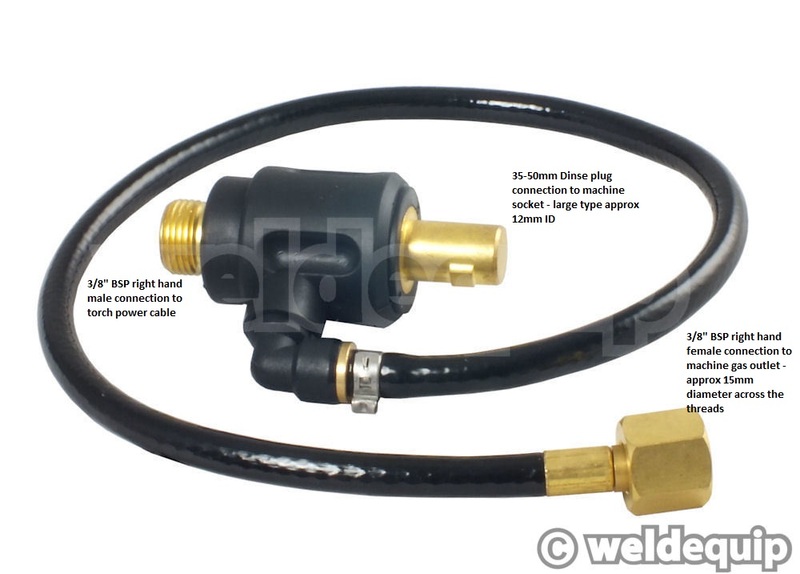 We include as standard a Switch Blanking Kit, normally an extra cost option. If you want to use a Foot Pedal you can remove the handle switch & insert the blanking kit for better torch handling. Swap back to using torch control whenever you like; all done in seconds without the need for any tools or wiring. 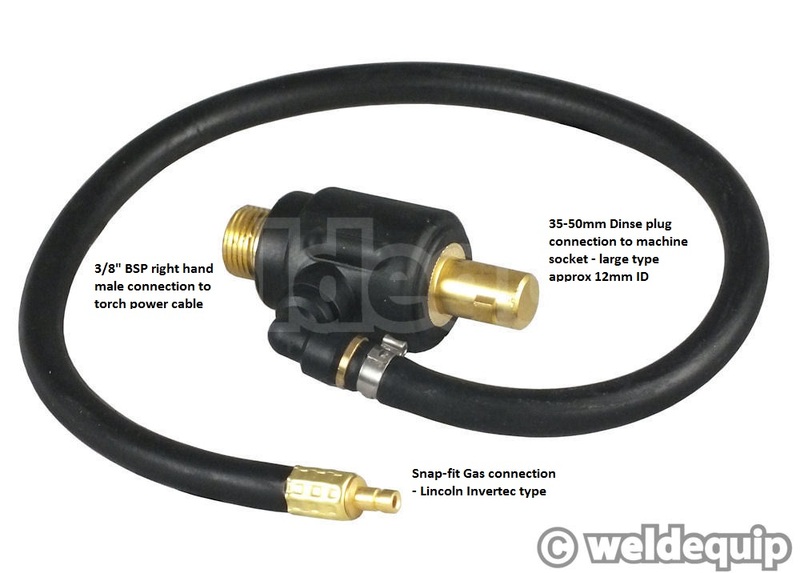 Supplied as standard in mono-cable version with 3/8” Bsp Gas connection, Switch and Leather/Rubber sheath. 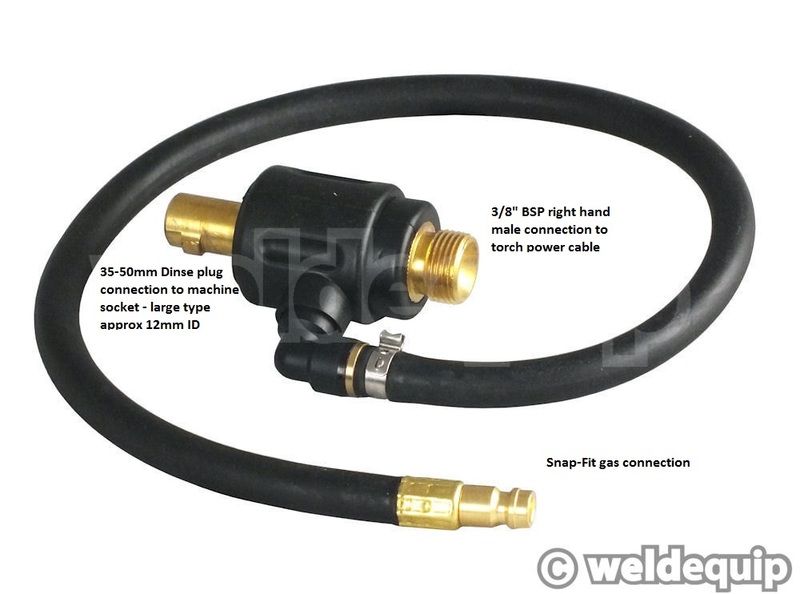 Select the Power Cable Adaptor from the list to fit your machine if you do not already have one on your existing torch. 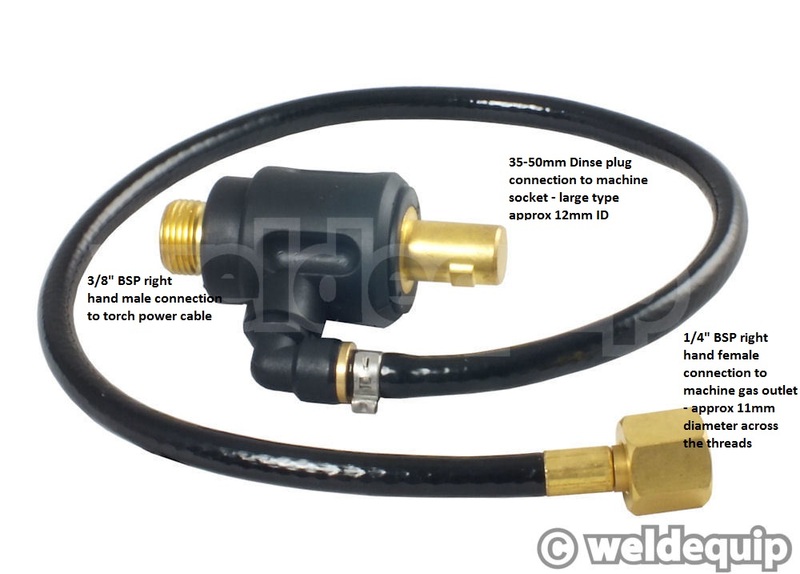 Switch lead Amphenol plug not supplied, simply swap your existing plug on to the new lead. 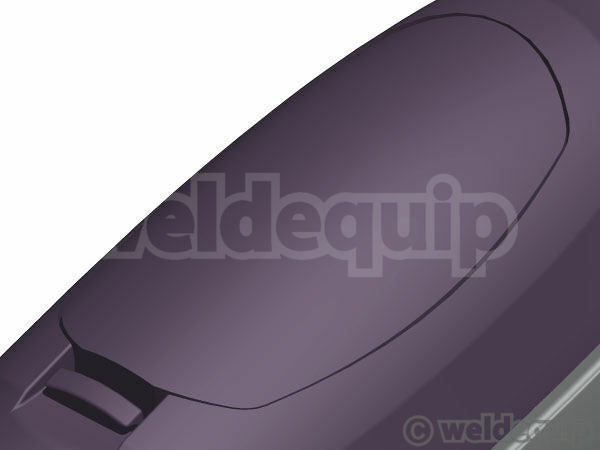 Full range of plugs to fit most machines available if required + different handle switch options. 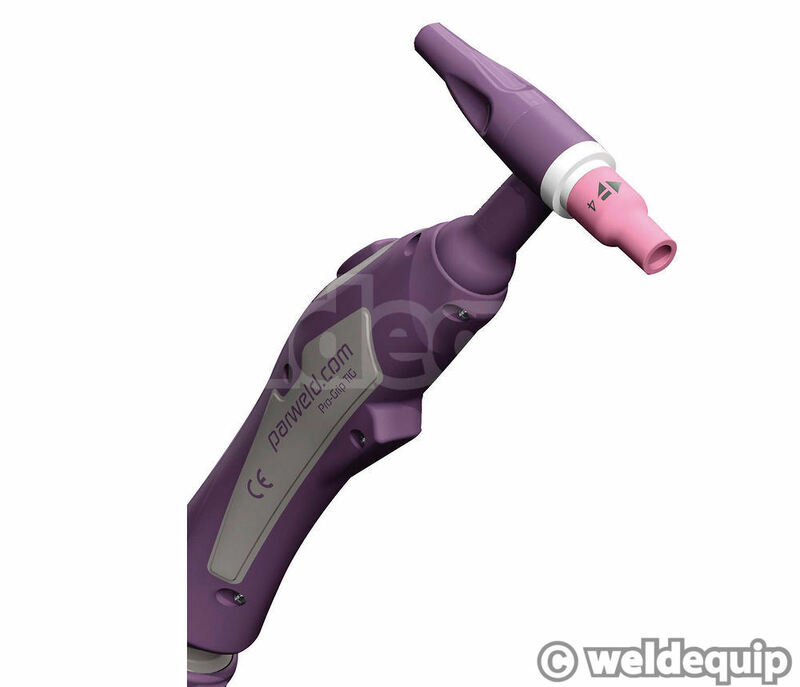 You will need front-end torch parts & tungsten electrode for use (back-cap supplied).